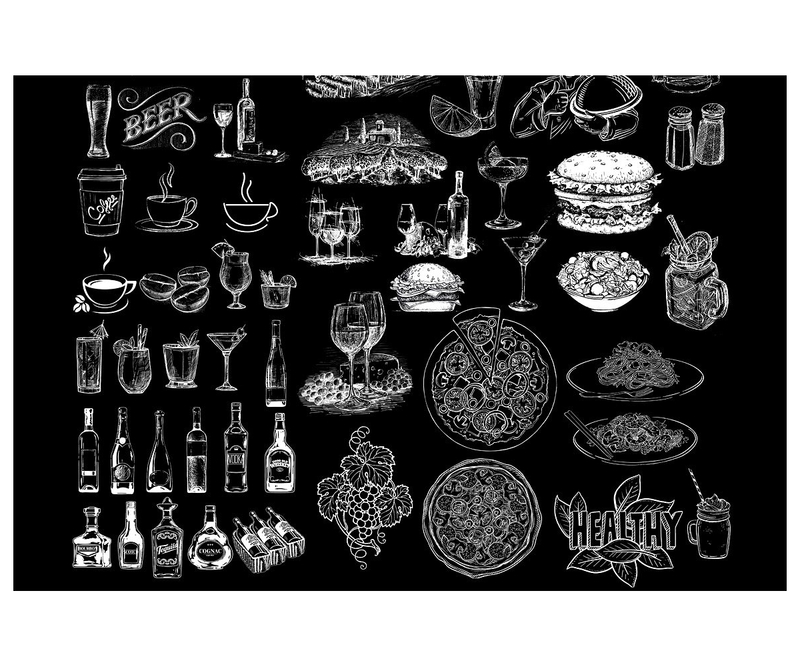 Hand drawn menu template - chalkboard design + Bonus sketch food and drinks - retro menu template for restaurant, pub, pizza, snack bar... You can use this template in 2 versions - basic black and white style with hand sketched graphic elements or you can use included Photoshop action and create original chalkboard menu design. 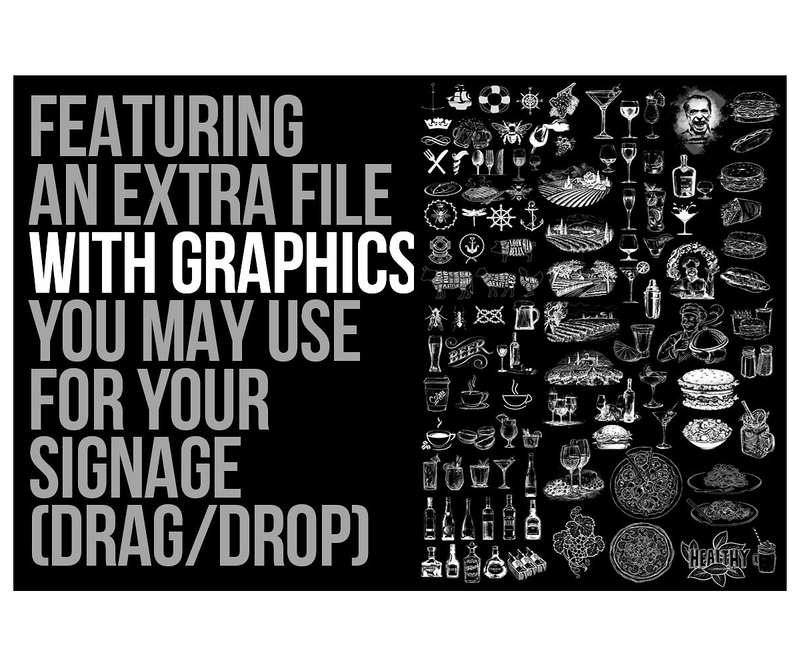 The template includes Bonus graphic elements (2 layered .psd files). 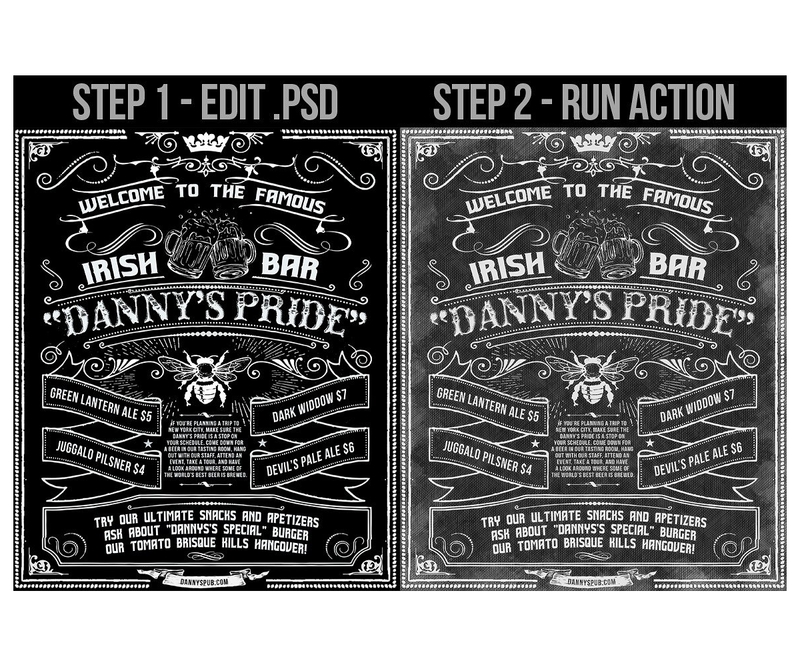 - retro menu template for restaurant, pub, pizza, snack bar... You can use this template in 2 versions - basic black and white style with hand sketched graphic elements or you can use included Photoshop action and create original chalkboard menu design. 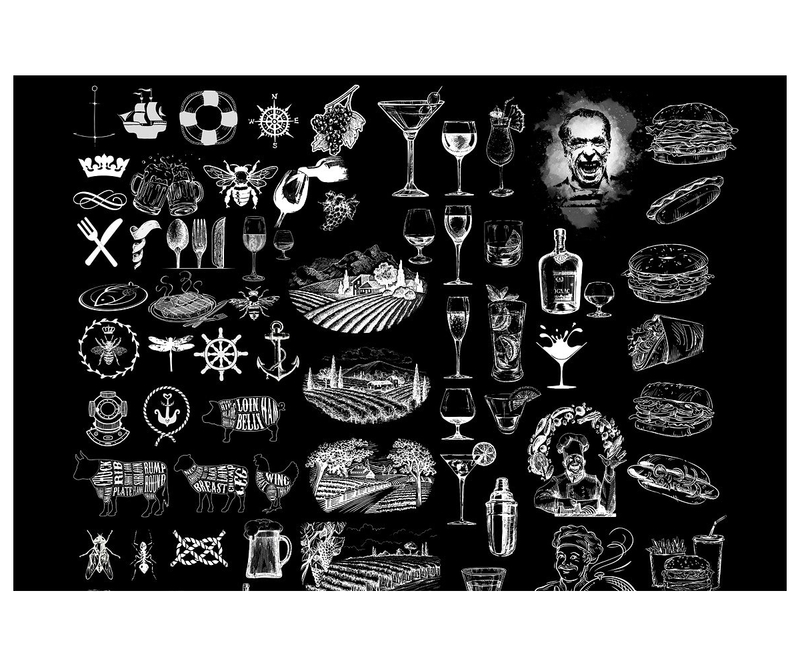 The template includes Bonus graphic elements - crown, bee, beer mugs, wine glasses, food (pizza, hamburger, spaghetti, salad), various drinks (wine, lemonade, coffee), animals, etc. ), so you can make new design persistently. Easy to use. You need only basic skills of graphic software - Adobe Photoshop. 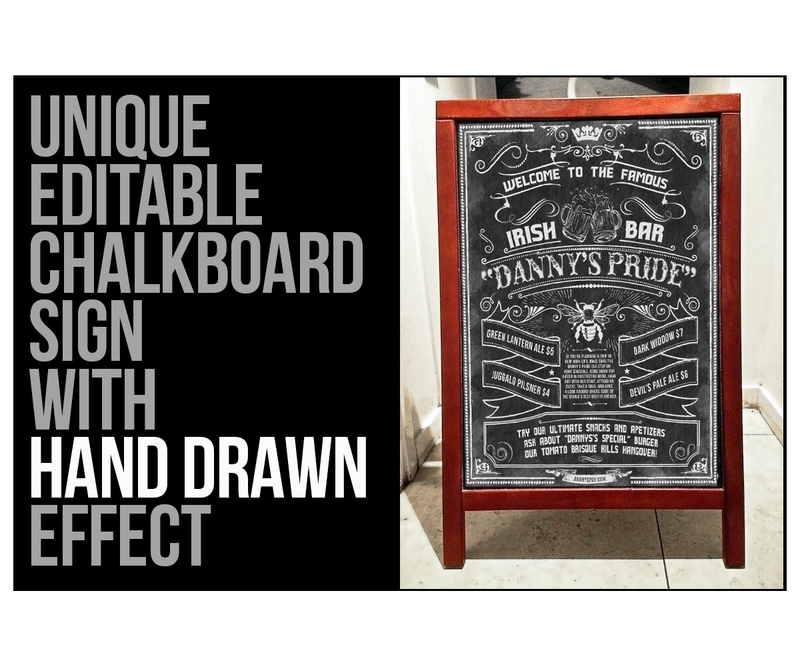 This chalkboard menu / poster is different, because it has 2 steps - First you edit the included .PSD with your info and graphics included. 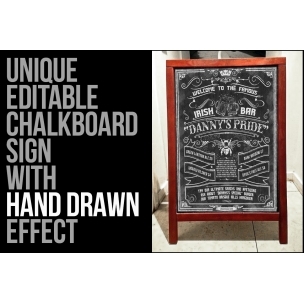 Second, you run the action “chalkboard sketch” to make the whole thing more attractive by making it look as if it’s sketched by hand. Short and easy to follow instructions are provided in the ZIP file. 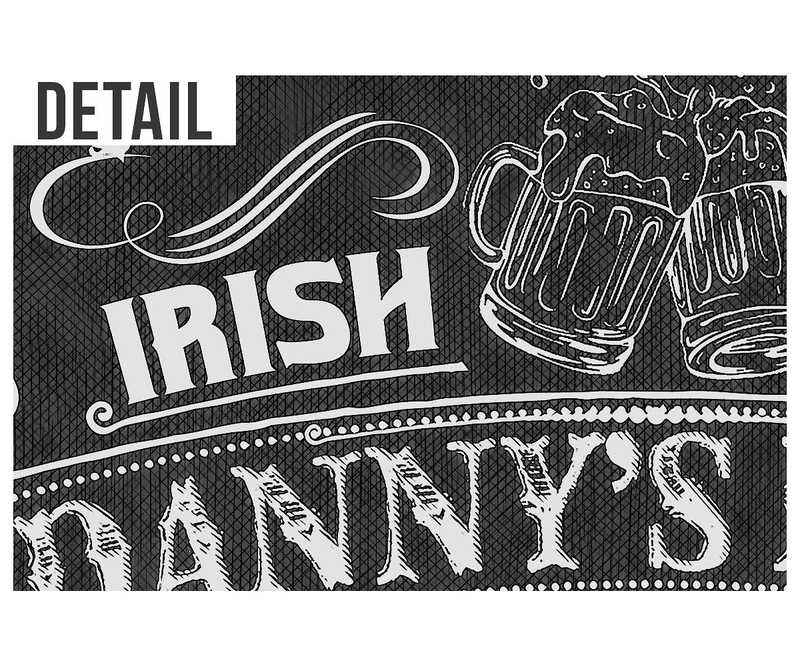 3 free fonts used are linked, and quick to download. 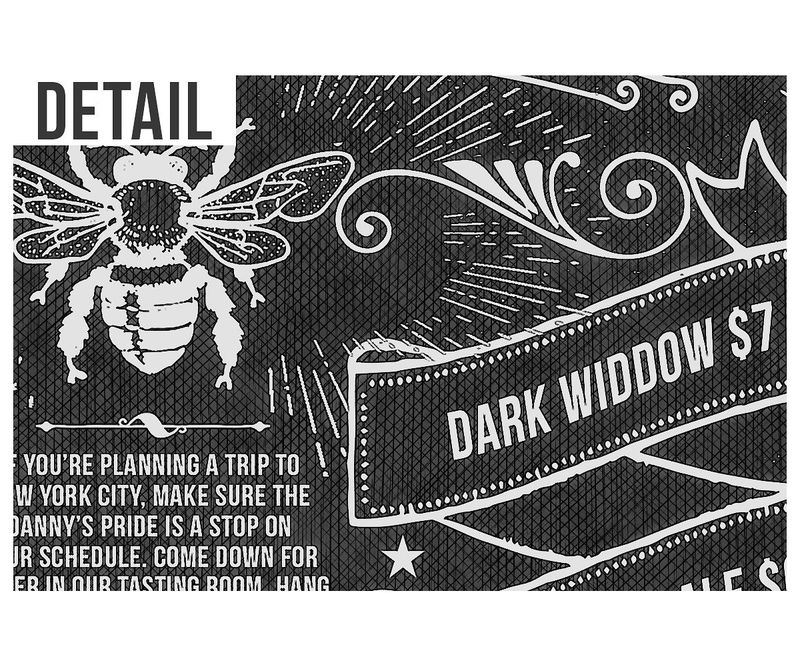 ALSO, there is an EXTRA .PSD file with many graphic items to use (instead of provided crown, bee, beer mugs). Just drag and drop them in the project, and disable/delete the ones already there. Easy to modify, change colors, texts, dimensions. Layered template 2550 x 3300 pix (2 layered .psd file + Bonus many hand sketched graphic items). • links for free fonts which were used. Always you can use your own fonts.